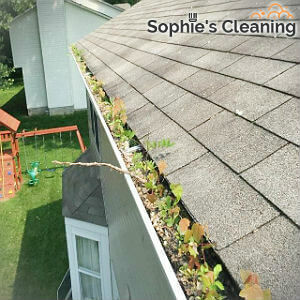 Using the services of professional workmen to clean the gutters of every property is important and necessary which should be performed at least once in the year. 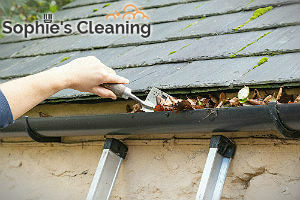 Our gutter cleaning services are offered in the Wimbledon territory and nearby at reasonable prices. The work of our operatives includes using telescopic poles, designated for the purpose dry and wet vacuum cleaning equipment and CCTV cameras. Use our services once or oftener in the year to maintain the gutters and downpipes of your estate in perfect condition. We carry out inspection, cleaning, supervising the process and final testing. If you need thorough and complete removal of the wastes, debris, grass and moss which obstruct the functioning of your gutter system, call us at any time. Our kind and responsive phone operators can make an appointment with any of our workers to clean and unclog your property’s drainage system. They use extendible telescopic poles made of carbon fibre to which are attached special dry or wet vacuum cleaner and a tiny camera. This way they supervise the process and conduct safe and efficient cleaning from the ground. Use the gutter cleaning services provided by our company in SW19 and the results will be the best possible. You won’t have any problems with the gutters and downpipes of the estate you hold, rent out or offer to tenants. We work during all days of the week, our services have fixed prices and no hidden fees. The best way to ensure the functional and good condition of the guttering system in your home, workplace, office or other building is using professional cleaning services. We are proven as one of the most reliable providers in the industry who carry out excellent gutter cleaning in the Wimbledon, SW19 and nearby areas. Feel free to call or e-mail us, use our online form or free chat to specify your requirements and get a free quotation prepared according to them.